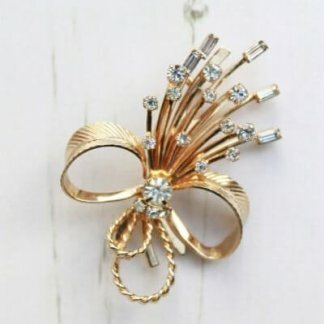 This brooch titled ‘Precious’ is one of those pieces. 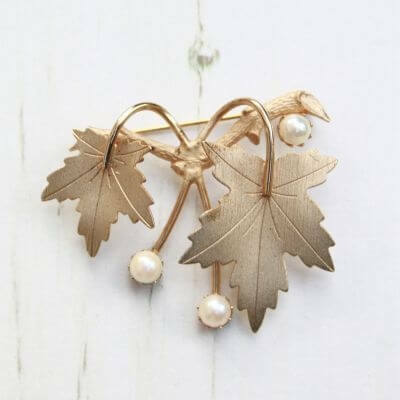 The Precious brooch features 3 round cultured pearls in a brushed gold plated setting, designed with 2 leaves falling from a branch. 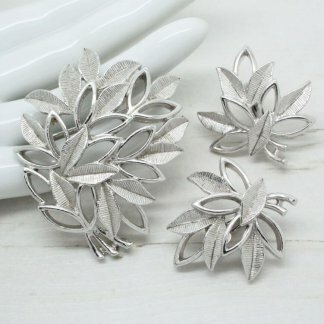 This brooch has wonderful detail and looks very life like. The brooch is in good condition and a rare example to come by in England, showing slight to no wear. The pearls are original showing a strong clean colour. 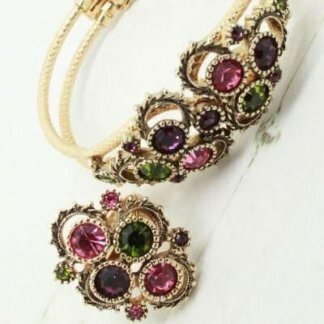 The setting shows slight spots front & back which are highlighted in the textured of the brooch as seen.